PWN Norway was delighted to co-host a major conference on Gender Balanced Leadership in Oslo on June 4th. We partnered up with Yara International (main host of the event), Storebrand and Mercer Norway to bring together industry leaders, such as Yara’s CEO Svein Tore Holsether, topic experts like Tove Selnes, CHRO at Storebrand, and Jan Erik Saugestad, CEO Asset Management at Storebrand, and opinion leaders like Birgit Liodden, Director of Sustainability for Ocean and Communication for Oslo Business Region. Why gender balanced leadership is critical for future success. During 5 interactive workshops after the plenary session, the attendees took a deep-dive covering unconscious biases, engaging men, authenticity in leadership, the role of pay equity, and success criteria. These workshops focussed on moving from vision to action and discussing what can and needs to be done. “It was a really inspiring event and I was amazed by the energy and enthusiasm of all participants. It felt like I was sitting beside those who have the power to really start a change in Norway”. 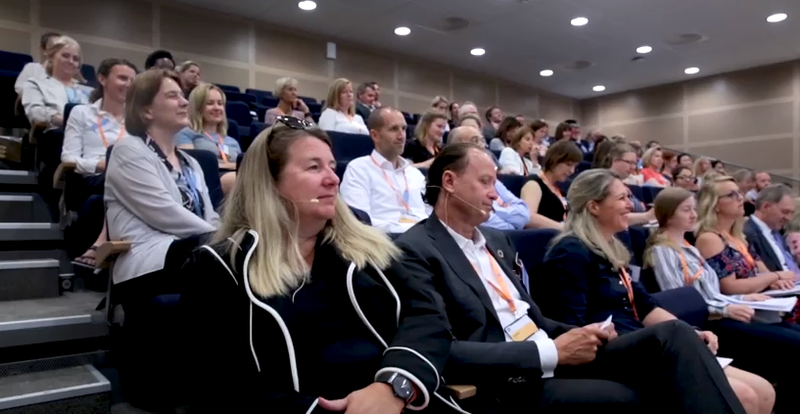 Get an even better insight into the first Gender Balance Leadership event co-hosted by Yara International, Mercer, Storebrand and PWN Norway here. The organisers agreed that this would be the first of a number of follow up events to track progress towards gender balance in Norwegian business.